Whether you’re a health and fitness fanatic or not, everybody asks themselves that question at some point. Maybe you’ve noticed that your belly is sticking out a little more than usual, or maybe your mental state has recently felt a little off. Whatever the case, many of us experience low points from time to time when it comes to our health. The key thing is to make sure that you enforce positive changes to your lifestyle when you notice that your physical or mental state is suffering. Here are some suggestions. Stopping unhealthy behavior is one of the best changes you could make to your life in order to improve your wellbeing. Obviously, you need to make some positive changes to your life, but cutting out negative habits is a good place to start. Think about the vices that are negatively impacting your health. Get snacks out of your house if you can’t stop yourself from overeating. If you drink slightly too much then this is a habit that you should cut down. Given that drinking is such a big part of modern culture, it’s easy to dismiss your problem, but the negative health effects are often slowly revealed over time. If you’re struggling to stop unhealthy behavior then slowly wean yourself off substances. For instance, you could use nicotine patches if you find it hard to give up cigarettes. You could drink non-alcoholic alternatives to certain beverages whilst you’re out with your friends. With the support of your loved ones, you could make a big difference to your wellbeing. You need to go further than simply cutting junk food out of your diet if you want to eat more better. You need to think about the food you eat. You’re cutting out empty calories, but are you replacing that with nutritious calories? There are clever ways to gradually improve your eating habits. For instance, you could satisfy your sugar cravings by eating fruit instead of processed snacks. You’ll still be eating something sweet, but it’ll be an organic option without all the additives and unhealthy preservatives in manufactured produce. You might also want to start adding this c60 supplement (olive oil) to your meals as a healthy addition. There are benefits to using this oil, such as stopping the growth of fat cells. This could help to promote weight loss if you’re trying to achieve a healthier weight level. Just remember that a balanced diet is essential to protecting your overall health and wellbeing. This is something that you could change to massively improve your wellbeing. Sleeping well is crucial to your physical and mental health. A good night’s rest can do more than improve your energy levels and concentration. There are plenty of health benefits to sleeping properly. Depriving your body of the rest it needs can weaken your immune system, slow down your digestive system, and even affect the repair of muscles. Your healthy diet and exercise routine won’t have a positive impact on your wellbeing if you aren’t sleeping properly, so make sure that you get 8 hours of rest every night. 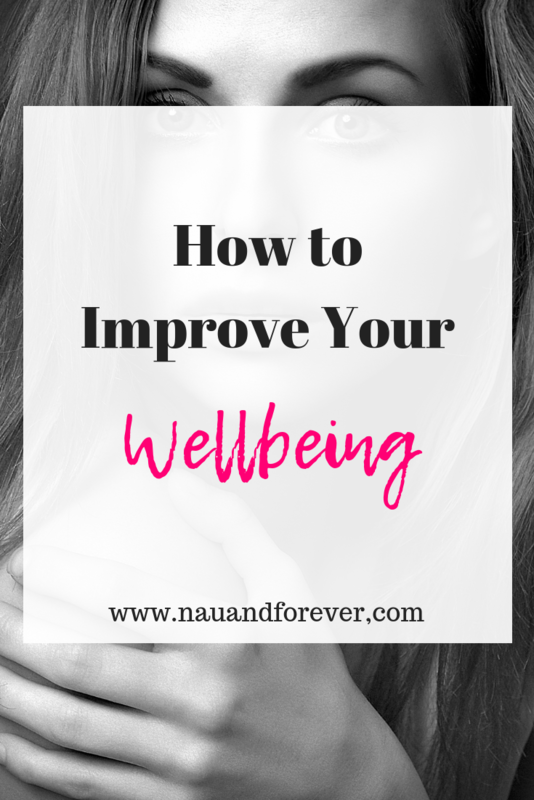 You can start to improve your wellbeing today by implementing these tips. You deserve to feel great so get to it! If you’re looking for more tips on improving yourself, check out these awesome self-care tips!